The November 6 election will include, in addition to the three statewide ballot questions, local Question 4—to approve a debt-exclusion override to fund the re-construction of the Police and Fire Stations and Fire Station Number 2. The expected total cost of the project is $69,995,000. Information on the project is available on the Needham town website, and on this page, below. Read the Needham Times article on the forum and the project. The League of Women Voters of Needham supports a yes vote on the three-station replacement project for our public safety buildings. A debt-exclusion override will appear as Ballot Question 4 on Needham ballots for the November 6 election (early voting Oct 22-Nov 2). See the letter supporting Question 4. Watch the video prepared by the Town of Needham that shows the need and the plans for the new Public Safety Complex and Fire Station Number 2. Click on “YouTube” in the video icon below or follow this link to YouTube. On Friday morning, October 19, a League Friday Forum presented “Needham Public Safety: Three Station Replacement Project.” The Police and Fire Chiefs, Town Manager, and members of the Board of Selectmen and Building Committee presented the need, the plan, the cost, and the ballot question. A question and answer period will followed. See the PowerPoint presentation from the forum. 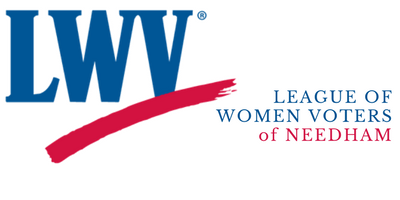 Watch the LWV-Needham Forum recorded by the Needham Channel. PreviousSarah McBride: Why Yes on 3?